Our range of products include automatic bar bending machine, bar bending machine, steel bar bending machine, automatic and manual bar bending machine, bar bending machine model gw 50 and tmt rebar bending machine. We are offering Automatic Bar Bending Machine to our clients. 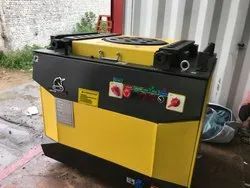 Our Bar Bending Machine adopts the fully enclosed GEAR BOX separated from the working disk for no distortions even under the condition of heavy loads and no oil leaking while lifting the machine. Gears, Gear shafts, working disk, Stop gauge, Saddles, Pile heads and pile head bushes made of high-quality alloyed steel with proper heat treatment (quenching/tempering/high frequency) and 3mm thick external case to ensure high performances also under heavy loads and long working life. 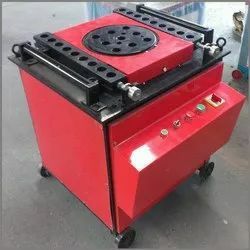 We are offering Bar Bending Machine to our clients. We are offering Steel Bar Bending Machine to our clients. 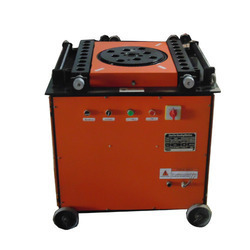 Product DescriptionWe are offering Steel Bar Bending Machine to our clients. 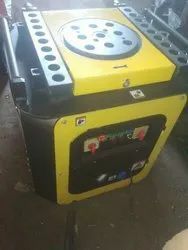 Reckoned amid one of the credible market names, we are willingly engaged in offering to our patrons GW50 Rebar Bending Machine.